In 2010 I moved our family to Utah as the result of a job offer that I accepted after graduating from Brigham Young University - Idaho with a bachelors degree in Accounting. Soon after we settled in our new neighborhood I was approached to take on the new adventure of being the Scoutmaster for the local troop. Being a Den Leader, Cubmaster, Scoutmaster, and Varsity Coach in prior units in Idaho I accepted with out any worries... well, except one. I had no idea where to take these scouts camping or hiking as I was not familiar with the area. Thus started the creation of ScouterLife. ScouterLife was first created for my own personal journal of trails, camp sites, and ideas for program helps. I soon realized that I was not the only one in the area that needed help with finding locations to camp and hike. I also realized that other's could probably benefit from some of my notes with ranks and merit badge items. ScouterLife is a collection of my life in scouting. I believe that scouting is an inspired program that helps boys become young men, and eventually turning young men into great men and future leaders. And, with the announcement from the BSA in 2017, young women have the same opportunity as the boys! My daughter is extremely excited about this. 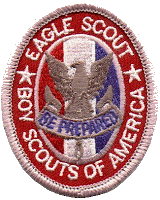 With such a large array of different badges and ranks to earn, It fine tunes the scout into what she or he eventually would like to become as they approach adulthood.